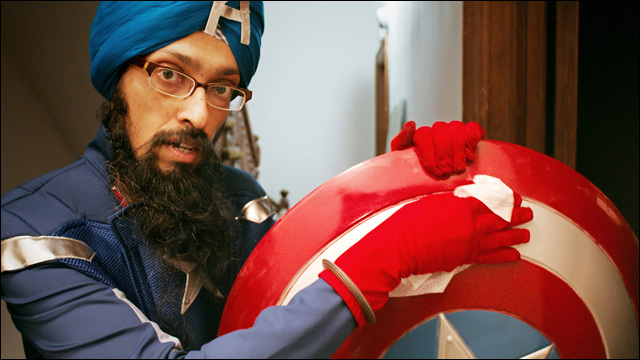 Fun short documentary follows the adventures of cartoonist Vishavjit Singh. 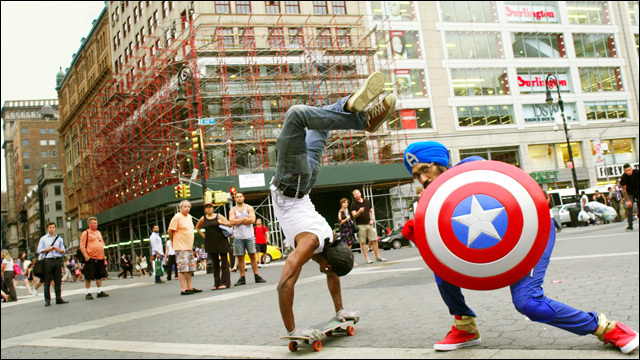 Beware, evildoers! 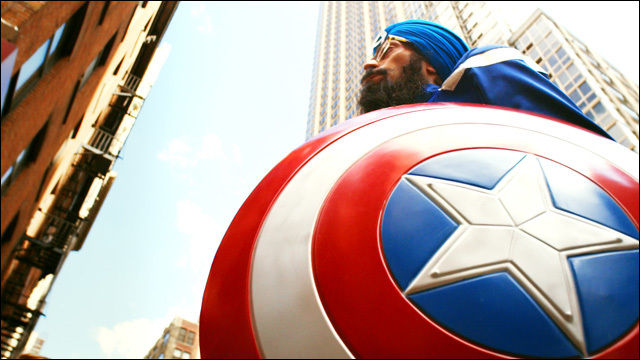 A star-spangled superhero walks the streets of New York City, wielding a shield of truth and justice. 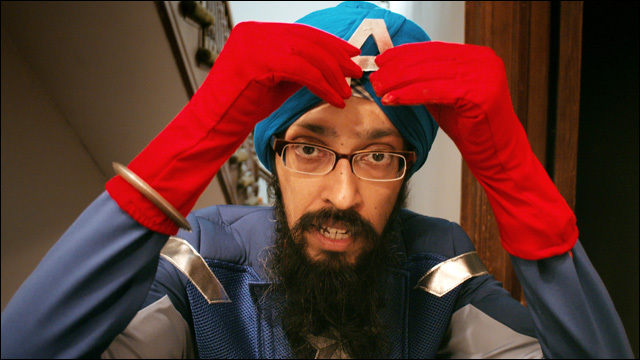 I'm talking cartoonist Vishavjit Singh, also known by his heroic alter ego Sikh Captain America. 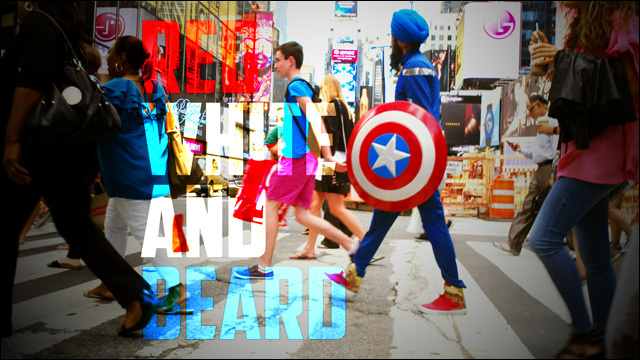 He's the subject of a great new short documentary Red, White, and Beard, which follows Vishavjit and captures people's reactions as he roams around the city dressed as the classic American icon, turban and all. I love this guy. 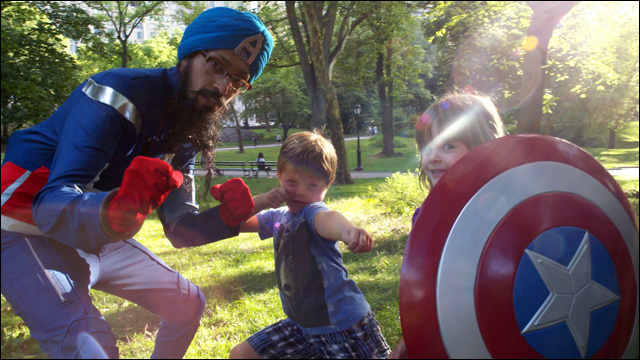 He is the hero we need for these troubled times. 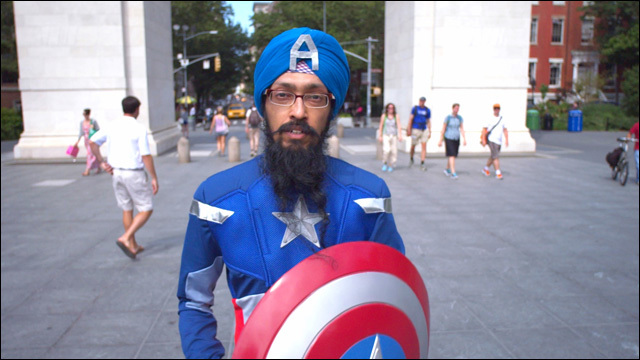 For more information, visit the film's website. 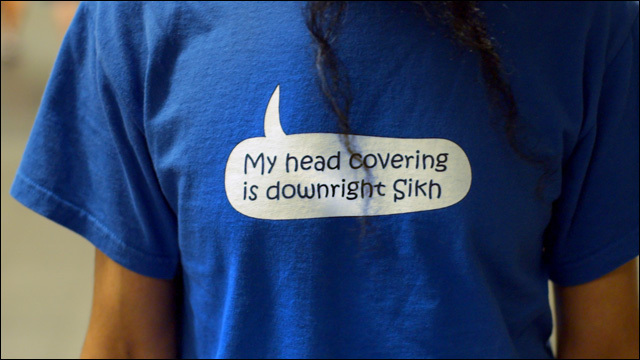 To see Vishavjit's cartoons, check out Sikhtoons.